The ancient world often evokes wonder, respect and even confusion, and few places accomplish any of that more than the incredible ruined stone temple of Puma Punku. Part of the larger ruined city of Tiwanaku in the altiplano plains of modern Bolivia, Puma Punku is a marvel of engineering, stonemasonry and design. These facts are obvious to even the lay observer, as Puma Punku’s stonework is remarkable even for the Andes where visitors have long wondered at ancient stone joints where even a knife bade could not fit between the stones. This level of craftsmanship has caused some, mostly those who have never been to the Andes, to speculate of a fanciful origin for the site, maintaining that such a wonderful and mysterious place must be the work of extraterrestrial or super-human forces. However, Puma Punku’s stonemasonry is often considered its most notable feature only because until recently so little was known about the site or the Tiwanaku culture that built it. This would be like visiting the ruins of the Vatican or Westminster Abbey centuries from now and being wowed by the quality of construction. While the construction is impressive, that aspect is not the most interesting story that the sites can tell. Today, through the diligent work of scholars from many countries, the disciplines of archaeology, art history, comparative ethnography and other modern historical sciences have begun to peel back the story of Puma Punku, and historians can once again begin to tell the stories behind the stones. That work has highlighted the enigmatic ruins from many points of view, and have helped explain how it was a place of ritual, showmanship, mythology and, of course, the finest workmanship. 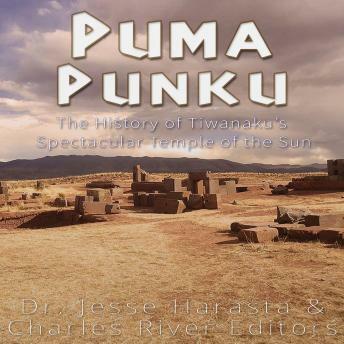 Puma Punku: The History of Tiwanaku’s Spectacular Temple of the Sun examines one of the most important pre-Columbian sites in South America.